Azerbaijani citizens and foreign guests may travel by a cruise ship along the Caspian Sea in summer, Minister of Culture and Tourism Abulfas Garayev told reporters on February 2. He added that Russia is already preparing ships to organize sea cruises along the Caspian Sea. “Several projects have already been discussed,” he said. “The cruises will be organized in summer." In accordance with President Ilham Aliyev’s decree “On additional measures to increase the flow of tourists to Azerbaijan” signed in 2017, the Foreign Ministry jointly with the State Maritime Administration, the Caspian Shipping Company and Baku International Sea Trade Port were charged with holding talks with the Caspian-littoral countries to organize sea cruises in the Caspian Sea. The Azerbaijan Caspian Shipping Company and Moscow River Shipping Company signed a memorandum of cooperation on cruise shipping in the Caspian region by using ‘Peter the Great’ new cruise passenger ship on December 28. The memorandum envisages joint activities to study and develop optimal routes for cruise passenger vessels, such as ports of the Black Sea - inland waterways of the Russian Federation - Astrakhan - ports of the Caspian Sea; Moscow-Baku; Astrakhan - Makhachkala - Baku; Baku - Anzali - Nowshahr - Turkmenbashi - Aktau - Astrakhan and others. By this cruise liner, passengers will be able to travel across the Black Sea, the port cities of Russia, the Caspian-littoral countries. The ship has a fitness room, restaurants, a cinema and other conditions for leisure. The sea cruises will attract more tourists to Azerbaijan and contribute to the development of tourism in the country. This project will attract tourists from the EU countries, the U.S., Australia, China and other regions of the world. In recent years, Azerbaijan is experiencing a boom in tourism sector, and this positive trend continues to grow. Over the past 10 years, the number of tourists visiting the country increased by five times. 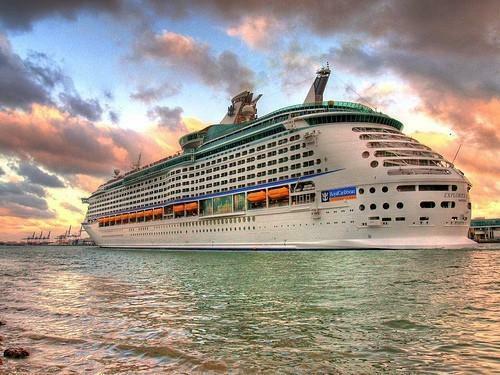 The talks about creation of a new cruise line in the Caspian Sea arose in 2005, when the sides planned to open the cruise-passenger along the route Astrakhan (Russia) - Baku (Azerbaijan) - Enzeli (Iran) - Aktau (Kazakhstan) - Turkmenbashi (Turkmenistan). However, the cruise line has never been opened and the issue was always postponed for the following years. The Caspian Sea, with enormous deposits of oil and gas as well as rich fisheries, can rightfully become popular cruise destination. Fresh water flows into the sea via the Volga River and Ural River in the north, however, the sea remains somewhat salty. The flora and fauna of the Caspian Sea is not only rich and diverse, but also different from the fauna and flora of other seas and lakes. The sea is home to 755 species and subspecies of plants, and also inhabits about 920 species of animals, and among them there are many that you will not find anywhere else in the world. For example, the Caspian seal is the only mammal of the Caspian Sea, and this subspecies is not found anywhere else in the world.